Home >> Generated from JAN's SOAR Information System on 4/26/2019 3:41:36 AM. The VH200 whole room heater is an effective way to reduce energy costs. This whole room heater has a thermostatic temperature control knob. Select your desired heat setting with a simple turn of the dial. 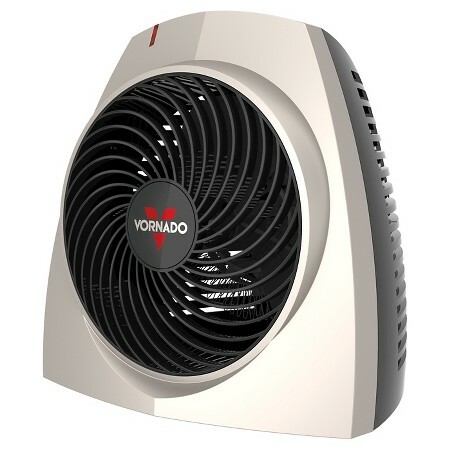 Vornado’s signature Vortex heat circulation then distributes the warm air throughout the room. Unlike typical heaters whose hot coils create areas of extreme heat directly around the heater, the VH200 outputs a steady current of heat that envelops the room in comfortable warmth. This household heater is whisper-quiet, and employs advanced safety features to provide worry-free use. A tip-over switch automatically cuts the heat and power to the unit if tipped over. With Vornado’s unique design, the VH200 remains cool to the touch, even after hours of extended operation. The VH200 is backed by a 5 year limited warranty for season after season of worry-free warmth.